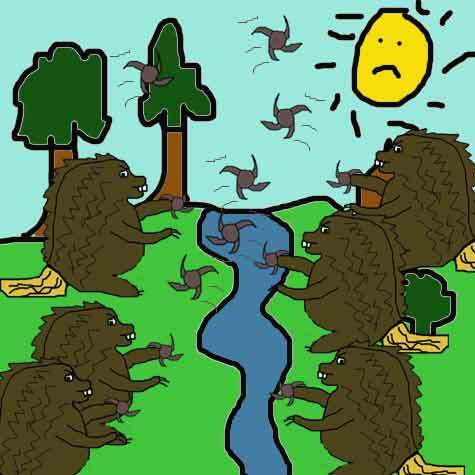 "This is a disgrace", thought the Sun as the two ninja beaver gangs fought a turf war over the river. 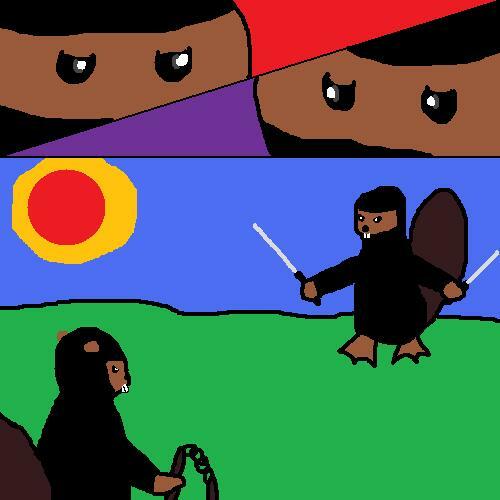 Ninja beavers fight to the death under an unforgiving sun. Ninja Beaver fighting. One has swords and another has nunchuck. Damn, those Ninja Beavers are quite stable. Ultra-iconic. Woah man... Ninja freekin Beavers.